Pablo Neruda sold all of his possessions to finance his first book, Crepusculario (“Twilight”). Because Neruda’s father had disapproved of his writing, he created the pen name Pablo Neruda taken from the name of the Czech writer Jan Neruda. Imagine if he had followed his father’s wishes or if he hadn’t risked everything financially just to take a chance on himself, imagine what the world would have lost. 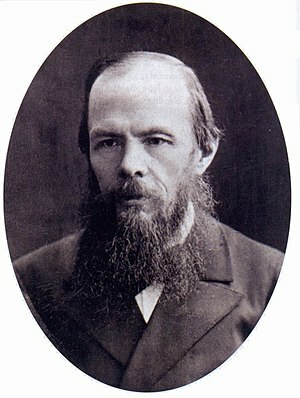 Always a free thinker, Dostoevsky had joined a literary intellectual group of writers and teachers, this group was considered subversive and Dostoevsky along with the others in the group were arrested. Dostoevsky was sentenced to 8 months of silent treatment where the guards wore velvet soled boots (Bantam books-1974, translated by Mirra Ginsburg and introduction by Donald Fanger) he was then led in front of a firing squad and an open grave. As he awaited his execution he was suddenly ordered to complete his sentence in a Siberian prison camp. He returned to St. Petersburg in 1859. Although ten years of his life were waisted in a prison camp due to a paranoid Nicolas I‘s fear of revolution this experience did not stop him from writing, in fact, he became one of the greatest writers the world has seen. After coming out of one of the lowest levels of human suffering all he could do was write.